Dey Street Books, 9780062416162, 208pp. A National Book Award finalist, the mesmerizing, landmark illustrated biography Radioactive is finally available in a stunning paperback edition. Through words and her own gorgeously crafted illustrations, artist and journalist Lauren Redniss tells the story of Marie Curie, née Marya Sklodowska, and her working and romantic relationship with Pierre Curie, including their discovery of two new scientific elements with startling properties—as well as the tragic car accident that killed Pierre, Marie’s two Nobel Prizes, and her scandalous affair with a married scientist. 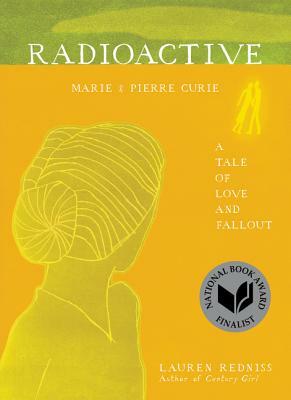 And Radioactive looks beyond the contours of Marie’s life, surveying the changes wrought by the Curies’ discoveries—nuclear weapons, radiation in medical treatment, and nuclear energy as a possible energy source—to create an eerie, wondrous, and moving evocation of one of history's most intriguing figures.